The Forensic and National Security Sciences Institute (FNSSI), the Maxwell School and the Oak Ridge Associated Universities (ORAU) are teaming up to present “Current Trends and New Horizons in Forensic and National Security Sciences: Opportunities and Challenges” on Monday, April 27, and Thursday, May 7. The events will foster a dialog between national and local forensic and national security leaders with the Syracuse University community. The two-day event is part of a Distinguished Lecture Series supported by ORAU and will focus on the relationship that exists between effective forensic science and the scientific needs of national security interests. Organizers say the continually evolving landscape of both science and technology, as well as newly emerging natural and man-made threats have provided unique opportunities and difficult challenges in forensic science and national security. 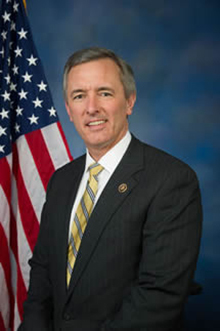 Free and open to the public, the event will kick off with a keynote lecture by Congressman John Katko, who was elected to the U.S. House of Representatives last November and serves as the chair of the Homeland Security Transportation Security Subcommittee. Congressman Katko will deliver his remarks on April 27 from 11 a.m. to noon in 220 Eggers Hall. On Thursday, May 7, the event will continue at at 9:30 a.m. in 220 Eggers Hall with a lecture and panel discussions featuring an array of experts from both the forensic and national security sciences fields. The diverse backgrounds of the panelists provide a unique perspective at many levels related to matters involving forensic science and national security, including intelligence, defense, the judicial system, health and criminal justice policy, and disaster preparedness and response. The May 7 sessions will focus on new opportunities and potential directions of efforts to strengthen forensic and national security sciences to successfully combat threats—both domestically and globally—as well as opportunities, challenges and efforts to strengthen forensic and national security sciences in dealing with existing and emerging threats. The panelists include Kathleen Corrado, director of laboratories of the Onondaga County Center for Forensic Science; Vice Adm. Robert B. Murrett (USN, ret. ), deputy director of the Institute for National Security and Counterterrorism and fellow at FNSSI; Steven Hogan, first deputy counsel of the New York State Police; Robert Stoppacher, chief medical examiner for the Onondaga County Center for Forensic Science; and Mark Cicero, assistant professor of pediatrics and director of pediatric preparedness at Yale School of Medicine. The events are sponsored by the ORAU, FNSSI, Maxwell’s departments of Public Administration and International Affairs and the Louis A. Bantle Series in Business and Government Policy in the Maxwell School. For more information, contact co-organizers James T. Spencer at jtspence@syr.edu or Michael Marciano at mamarcia@syr.edu.